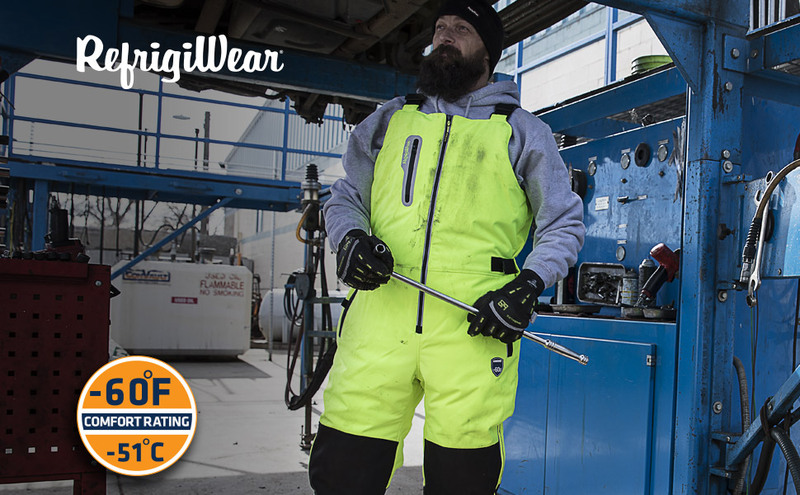 Stay seen and stay safe with ANSI Class E bibs that offer protection down to -60°F. Take your protection to the extreme with abrasion-resistant patches, high torso coverage and a shield from the harshest temps. The HiVis Extreme Softshell bib overalls are ready to work, with durability and visibility for the toughest jobs. The entire Extreme Collection was designed for comfort, style, and the ultimate protection. When the cold warns you to stay at home, take it to the Extreme. 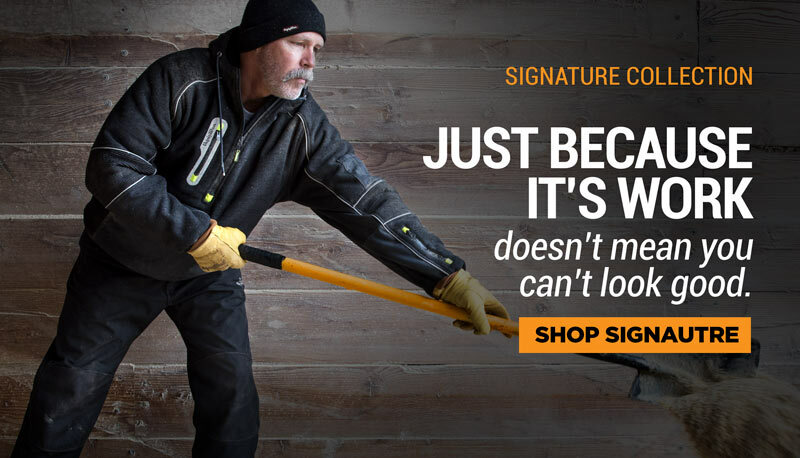 Protection down to -60°F (yup, you read that right), the HiVis Extreme Softshell Bib Overalls combine a flexible outershell, advanced insulation, and a reflective lining to ensure you stay warm in the coldest conditions. The outershell is made from flexible softshell, which gives a higher level of flexibility than other jackets, like those lined with down or packed with synthetics. It can take a daily beating, offers water-resistance and is breathable so you don’t trap sweat. When you are increasing your heart rate in the cold, whether it is hiking or doing tough jobs, you need sweat to evaporate so you don’t get a chill. Protect valuables like cell phones from the elements with the waterproof pocket on the chest. The HiVis Extreme Softshell Overall Bibs feature rugged scuff-resistant knee patches making the bibs more durable. Adjustable suspenders help you get a perfect fit for comfort and warmth. Use the glove clip to make sure you don’t misplace or lose your gloves. 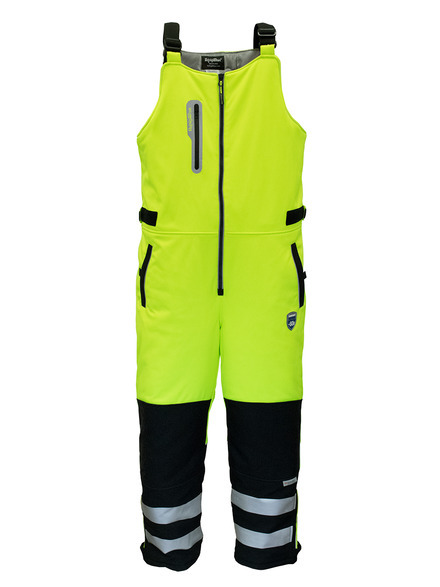 Offered in HiVis Lime, the bib overalls feature stitchless bonded reflective tape. ANSI Class E approved, paired with any Class 2 or Class 3 jacket, the entire outfit becomes Class 3.